can you show this off in the villa which never turns into night? Sure. 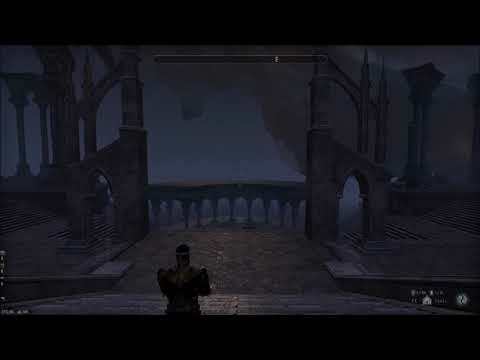 Here is video that demonstrates the undoing of fairly dramatic changes to make what is an otherwise always daytime setting -- the Psijic Villa -- into a vampire-friendly cathedral draped in shadows. The effects that I am deleting throughout the video are Essential Housing Tools 8.9.5's various "Darkness" effects, including the new "Darkness, Veil" that places a permanent blanket of darkness over the entire home, really helping to usher in that palpable feeling of the dead of night. I recommend experimenting with all of the flavors of Darkness now available in Essential Housing Tools 8.9.5+ as they can help you achieve a cinematic feel that would be otherwise impossible in Housing today. Essential Housing Tools. Get it if you don't got it. If you've got it... you get it. @R_K this is probably a silly question, but am I right in thinking that it won't affect furnishings and lighting? @Aurelle1 No question is silly - and yours is particularly relevant. I'll make a quick video for you to demonstrate. Yes! These effects are amazing, and I can't wait to use them to get rid of that pesky sunlight in my own villa. Though, as I was trying out the Darkness, Veil effect, I kept ending up with the effect just appearing as a square in the middle two thirds of my screen, leaving the right and left side looking normal. I play at a somewhat larger than normal resolution of 2560x1440, so I was wondering if there was a way to set screen resolution for that or if maybe the size buttons in the editor work to resize it (they didn't seem to have any effect when I tried)? I couldn't seem to find any sort of setting, so I finally had a look around the lua file and increased the size of the square. However, I just wanted to check that there wasn't a more "proper" method to adjust the size than digging around in places that I probably shouldn't. Anyway, thanks so much for all these awesome features! I've already got plenty of ideas for how I'm going to make use of them in my houses. ...and a few too many others. @Syzgy Thank you for bringing that to my attention -- I forgot to scale that texture size up for very high resolution configurations. The next release will include this fix, so you won't have to update it manually. @mayasunrising Oh no! Ok, so the Darkness, Veil effect should always position its "Paint Bucket" editor icon directly in front of your character. So, if you don't see that button, make sure that (1) you are in Housing Editor mode and (2) you are not already editing another effect. The Paint Bucket buttons only show (to prevent screen clutter) when you are in Housing Editor Mode and when the Effect Editor panel is not already open -- if it is click "SAVE" to get rid of it).